Home Latest Stories Indian-origin Jagmeet creates history, enters Canada parliament. The arrival of the turbaned leader, as the leader of the New Democratic Party into the house on Monday, cheered by all members, coincided with the induction of a senior woman member into Prime Minister Justin Trudeau’s cabinet. 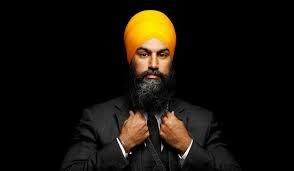 Singh, the leader of the New Democratic Party, was elected in federal by-elections held on February 25. Singh’s first words as an elected lawmaker were about last week’s terrorist attack on two mosques in New Zealand.He then launched his first question about housing in Burnaby-South. Prime Minister Trudeau responded by congratulating Singh for his entry into the Commons, before touting the government’s record on fighting poverty.Singh’s remarks echoed the mood of the House on a crucial day when the prime minister was beleaguered by the resignations of his two key cabinet colleagues. Previous articleMumbai social worker Gauri Sawant becomes first transgender election ambassador. 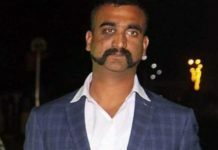 Next articlePM to address 25 lakh Chowkidars today.